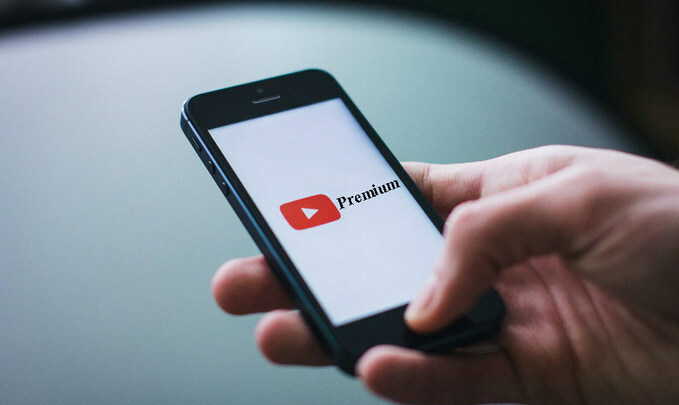 YouTube Premium offers users more attractive features like an ad-free video playback, video offline mode, original contents and etc. Now, it was released, and you might be thinking: Is YouTube Premium worthy of Subscription? Let’s take a look at the specific reasons why you should pay for YouTube Premium or not. Part 1: What Is YouTube Premium? Part 2: The Reasons Why You Pay for YouTube Premium? Part 3: Will You not Willing to Pay for YouTube Premium? Part 1. What Is YouTube Premium? YouTube Premium (formerly called YouTube Red) is a paid streaming subscription service ($11.99 per month) for YouTube. It provides advertising-free streaming of all videos and music hosted by YouTube, exclusive original content produced in collaboration with the site's major creators, and offline playback / background playback of videos on mobile devices. The service was originally called YouTube Red from October 31, 2015, and it offers ad-free access to all YouTube videos and Google Play Music. YouTube announced the rebranding of the service as YouTube Premium on May 17, 2018, alongside the YouTube Music subscription service. Google offers a 1-month free trial for new users. So you can have a try to see whether you are willing to pay for it after the trial. And if you subscribe before June 22, you'll get it at $9.99 per month pricing. Now let’s look at the reasons why you should pay for YouTube Premium. YouTube website or mobile app is the preferred destination where you usually visit to watch music videos, or movies from some super channels. But it must be annoying when you click a link to open a certain video or music but an ad pops up. And now, YouTube Premium allows users to watch all the YouTube contents without ever seeing ads, no ads across all YouTube apps on multiple devices like smart phones, tablets, smart TV, and etc. In my part, I don't mind short ads sometimes, but not for the longer ones like 60 or 90 minutes before start. And generally I am willing to pay for ads-free, and if the price is reasonable. YouTube website or app does not offer the option to download videos for offline enjoying, so you are only allowed to watch the videos online or turn to some YouTube video downloaders to download the videos and watch offline. In fact, Save Video for Offline is an important feature for the streaming services, so that users can access the videos when internet is not available. With YouTube Premium, you will see a download icon below each video and you can tap the icon to save the videos for watching later. Now, you can keep your favorite music videos, movies on devices for enjoying at next time. When music mentioned, what firstly comes into your mind? You probably think of the popular streaming services like Spotify, Apple Music, Deezer, Tidal or Google Play. Yes, the music streaming service industry is a little bit complicated and now YouTube joins in. YouTube already launched its music streaming services – YouTube Music Premium ($9.99 per month) on May 22. It will cover all the features of streaming music services from the market, like millions of music library, featured playlists radio, especially the catalog of remixes, live performances, covers and music videos. And just same as the case that YouTube Red included Google Play Music, YouTube Premium subscribers will get full access to YouTube Music Premium and ads-free Google Play Music at price $11.99. And just same as the case that YouTube Red included Google Play Music, YouTube Premium subscribers will get full access to YouTube Music Premium and ads-free Google Play Music at price $11.99. Indeed, this is a powerful integration which provides subscribers an easy way to access videos and music from one stop. Now with YouTube Premium, the video or music content you are enjoying will be kept playing in the background as you reply to a message or play game on your mobile devices (you can mute the background music of the game you are playing and just listening the music from YouTube ). And you will get access to the full library of YouTube Original content, like the series produced by big-name YouTubers Cobra Kai. Each reason mentioned above would be the good one that lets you decide to pay for the YouTube Premium tier. On the whole, it is worthy of paying. The features of background playback and YouTube originals are nothing in my part, but the integration with YouTube Music and Google Play music, and offline watching are attractive, and more importantly, I hate long ads injection. Conversely, you may think that YouTube Premium is not for you. You do not mind the ads and most of the content favorite are already available there and you can enjoy them for free. Or you have a trustworthy video downloader to help you free download videos and music files from YouTube, so offline download has no appeal to you. With regard to music, maybe you are loyal paid users for Spotify, Apple Music or Tidal, so YouTube Music Premium may not have the opportunity to attract your attention. If you do not intend to join YouTube Premium plan, you can keep your former schemes and your world still run faultlessly as before. And in the following part, we will share you 2 extra tips which can be used as your multimedia life solutions! YouTube Premium provides uses the option to download videos or music for offline playback, nice shot! But if you have no YouTube Premium account, and want to download music or movies from YouTube to enjoy them offline, the popular YouTube video download – Any Video Converter Free has the ability to free download music, videos, and playlists from YouTube. And if you want to burn the music videos you downloaded from YouTube to DVD or use the stuff as the background music on video project, Any Video Converter Free also must be your DVD burner and video editor. Download Any Video Converter Free installer from and run this installer, then you can click Customize install to continue the installation and launch it on your PC or Mac. Any Video Converter Free supports to download videos from YouTube as different qualities including 4K, 1080p, 720p, or dash video. 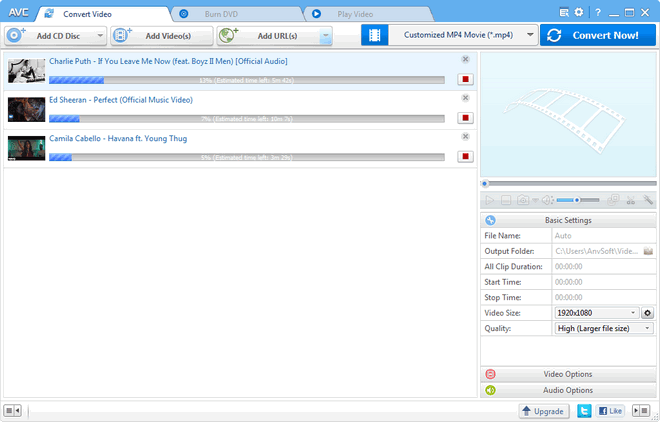 And it also enables users to download music files from YouTube as .m4a or 3gp. Head to YouTube website on chrome and find the contents you want to download, then copy the URL. Back to Any Video Converter Free, if you want to download videos from YouTube, you can click button directly, but if you want music only, please click and click on "Download Music Files", then a window will pop up. 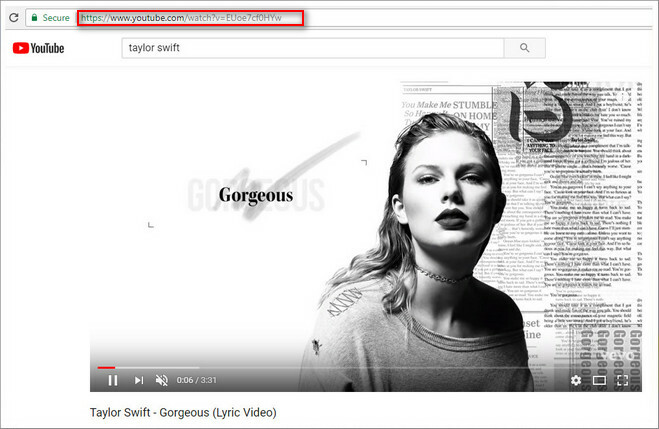 You can click on icon to paste the URL, or you can drag the URL from YouTube to the window directly. Then you can click "Start Download!" button to start downloading videos or music from YouTube. And you can continue to add more URLs from YouTube, VEVO, Vimeo, SoundCloud and other 100+ sites to download videos/music in bulk. Any Video Converter will download music files at faster speed, and after the downloading process completed, you can right-click the track and click "Open Source File Location" to find the well downloaded music files. Spotify is the King among the music streaming service industry, and there is nothing can be denounced after the trial, because it knows what you like and brings a good using experience, though YouTube Music Premium was announced and become the competitor against Spotify. 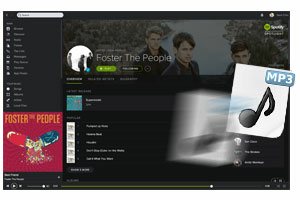 If you wish to download music or playlists from Spotify without losing original audio quality, you can try Sidify Music Converter Spotify which allows you to download Spotify music or playlists to MP3, AAC, WAV or FLAC, what’s more, the metadata and ID3 tags including title, artwork, artist, album, genre for better organizing your music library.